Why was Helaman’s Servant Justified in Killing Kishkumen? Shortly after the assassination of Chief Judge Pahoran and the death of his son Pacumeni, Helaman, the son of Captain Helaman, was appointed as chief judge (Helaman 2:2). But the job was becoming an increasingly risky one. Persuaded by the flattery of “one Gadianton, who was exceedingly expert in many words” (Helaman 2:4), Kishkumen, who assassinated Pahoran, “went forth towards the judgment-seat to destroy Helaman” also (v. 6). Just when he was about to assassinate Helaman, one of the chief judge’s servants, having discovered the plot, stabbed “Kishkumen even to the heart, that he fell dead without a groan” (v. 9). This story may be shocking to many readers, who may expect the servant to have taken Kishkumen prisoner so he could face trial. In a previous situation, Mormon felt it necessary to explain why enemy soldiers were detained without a trial, yet he gave no explanation in this case. A careful reading of Mormon’s narrative, however, suggests he viewed killing Kishkumen as the correct decision. In Helaman 2, Mormon uses the rare phrase “out by night.” This phrase appears only three times in the Book of Mormon: when Nephi kills Laban (1 Nephi 4:22), when Teancum kills Amalickiah (Alma 51:33), and just before Helaman’s servant kills Kishkumen (Helaman 2:6). Ancient Israelite authors often used a rare word or phrase like this from an earlier story as a way of alluding back to the previous story. Comparing the connected stories allows the reader to use information from the first story to answer questions about the second story. Assuming Mormon used this ancient literary technique, the stories of Nephi and Teancum may explain why Helaman’s servant killed Kishkumen instead of taking him prisoner. 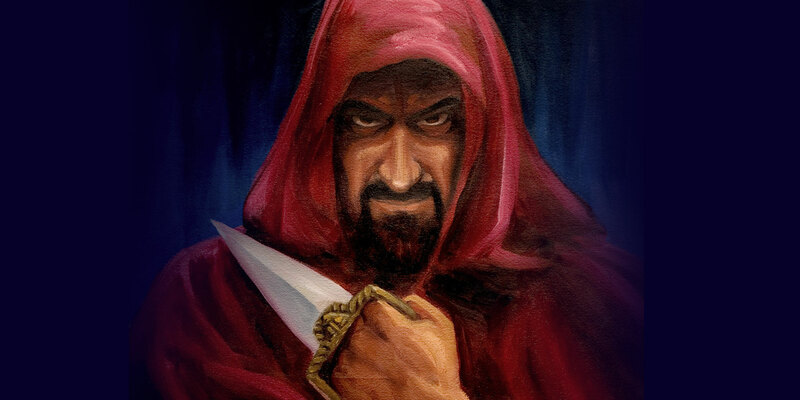 In Alma 51:33–34, for example, when Teancum was “out by night,” he killed Amalickiah so silently “that he did not awake his servants.” He did this by stabbing him in the heart. Helaman’s servant also stabbed Kishkumen in “the heart,” killing him so silently “that he fell dead without a groan” (Helaman 2:9). This comparison suggests that Kishkumen had to be killed because an attempt to take him prisoner would have been loud enough to alert his friends, just like anything but a silent killing would have awakened Amalickiah’s servants (cf. Alma 62:36). This conclusion is supported by the fact that Kishkumen was part of a secret combination. When dealing with a secret society, one never knows who is part of the conspiracy and who is not. In ancient Assyria, when one of the king’s servants attempted to expose a plot against him, he unknowingly reported it to a man who was in league with the assassins, and was promptly killed. This threat may explain why Helaman’s servant didn’t somehow incapacitate Kishkumen and take him away to stand trial. It was impossible to know how many people were in on the conspiracy, and a co-conspirator could have been lurking around any corner. The only safe thing was to kill Kishkumen so quietly that his death did not alert anyone else who might have been nearby. A comparison to 1 Nephi 4, which also uses the phrase “out by night,” may be illuminating. When Nephi stumbled upon Laban, the Spirit told Nephi to kill him. When Nephi resisted, the Spirit told Nephi to “slay him, for the Lord hath delivered him into thy hands” (1 Nephi 4:12, emphasis added). This justification may refer to Exodus 21:13 (emphasis added), which states that it is acceptable to kill someone “if a man lie not in wait, but God deliver him into his hand.” The striking parallel between these texts indicates that the Spirit was legally authorizing Nephi to slay Laban. In the same way, Mormon may have been implying that the killing of Kishkumen was legal as well. Mormon specifically noted that the servant of Helaman only killed Kishkumen after he heard from his mouth “that it was his object to murder, and also that it was the object of all those who belonged to his band to murder, and to rob, and to gain power” (Helaman 2:8). Simply becoming part of a conspiracy to overthrow the government appears to have been illegal during this period. Thus the servant of Helaman could legally kill Kishkumen as a traitor. The Book of Mormon sometimes contains details that can be confusing or unclear to modern readers. This is because ancient texts were written in a different style than most books today. The Israelite literary scholar, Hermann Gunkel, noted, “In very many situations where the modern writer would expect a psychological analysis,” the ancient Israelite author “simply presents an action.” Because of this, modern readers can understand the book better if they look carefully at the exact words of the author and where else he said those words. This ancient literary technique of using an early story to explain a later story reveals a higher moral justification for the servant’s actions. The Spirit finally got Nephi to kill Laban by telling him, “It is better that one man should perish than that a nation should dwindle and perish in unbelief” (1 Nephi 4:13). Mormon likely expected his readers to recognize that the servant’s motivation in killing Kishkumen was similar to Nephi’s reasons for slaying Laban: it was better for Kishkumen to die than for the Nephite nation to dwindle and perish in the unbelief brought about by having a band of robbers in a position of power. A passage in Helaman 2:8–9 strengthens this notion (emphasis added): “And when the servant of Helaman had known all the heart of Kishkumen … the servant of Helaman … did stab Kishkumen even to the heart.” Knowing that the wicked hearts of Kishkumen and his band would corrupt the Nephites, the servant stabbed Kishkumen in his heart, the heart that Mormon just established was so evil. 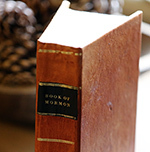 People who want to understand the Book of Mormon better have many good resources at their disposal, one of the best resources is the book itself. If readers remember that they can use one part of the Book of Mormon to explain a more confusing part of the book, this will help readers in many ways. As they put themselves into the real-life situations recounted in the book, and as they comprehend the writing conventions of its authors and abridgers, they will understand its message more clearly. All this helps in affirming the justice and equity of this true testament of our Lord and Lawgiver, Jesus Christ. John W. Welch, The Legal Cases in the Book of Mormon (Provo, UT: BYU Press and the Neal A. Maxwell Institute for Religious Scholarship, 2008), 313–322. John W. Welch, “Legal Perspectives on the Slaying of Laban,” Journal of Book of Mormon Studies 1, no. 1 (1992): 119–141. See Book of Mormon Central, “How Was a Void in Leadership Dangerous for the Nephites? (Helaman 1:2),” KnoWhy 172 (August 24, 2016). “At first glance this name looks like it might be JAREDITE in origin, because it begins with an otherwise exclusively JAREDITE name element, kish. However, the biblical PN KISH, and the observation that the element kumen, and names with similar elements, KUMEN (Lehite PN), KUMENONHI (Lehite PN), CUMENI (Lehite GN) and CUMENIHAH (Lehite PN) do not appear to be JAREDITE, would suggest that KISHKUMEN is Lehite.” However, the possibility still exists that this is related to the Jaredite name Kish: “The name KISH is known from several ancient Near Eastern sources: the biblical PN qīš (JAT), the Sumerian GN Kish, *Akkadian Kiššatu, name of a city in north-central Mesopotamia (RFS), and the city near *Ebla, giš (JAT). Nibley also notes that akish is the EGYPTIAN-Hittite name for Cyprus (ABM, 238).” The name may come from the Hebrew for “bow” or “horn,” or from Semitic, “straw, forage.” See “Kish,” Book of Mormon Onomasticon, ed. Paul Y. Hoskisson; “Kishkumen,” Book of Mormon Onomasticon. It does not matter where in the story the phrase appears or what it refers to, the simple presence of the phrase shows that one story should be read in light of the other story. See Peter J. Leithart, Deep Exegesis: The Mystery of Reading Scripture (Waco, TX: Baylor University Press, 2009), 109–115; Phyllis A. Bird, Missing Persons and Mistaken Identities: Women and Gender in Ancient Israel (Minneapolis, MN: Augsburg Fortress, 1997), 198; H. G. M. Williamson, “Isaiah 62:4 and the Problem of Inner-Biblical Allusions,” Journal of Biblical Literature 119 (2000): 734–739. Yairah Amit, Hidden Polemics in Biblical Narrative, trans. Jonathan Chipman, BibInt 25 (Leiden: Brill, 2000), 42. John W. Welch, The Legal Cases in the Book of Mormon (Provo, UT: Brigham Young University Press and the Neal A. Maxwell Institute for Religious Scholarship, 2008), 319. Frances Reynolds, The Babylonian Correspondence of Esarhaddon and Letters to Assurbanipal and Sin-šarru-iškun from Northern and Central Babylonia (SAA 18; Helsinki: Helsinki University Press, 2003), 82. Available online through SAAO : State Archives of Assyria Online “SAA 18 100: Your Son Will Kill You! (ABL 1091):” “When they heard about the [tre]aty of rebellion which […], one o[f them] ap[pealed] to the king before … Nabû-šuma-iškun and Ṣi[llaya] came and ques[tioned him]: ‘[What] is your appeal to the king ab[out]?’ He (answered): ‘It is about Arda-[Mullissi].’ Th[ey covered] his face with his cloak and made him stand before Arda-Mul[lissi himself], saying: ‘Look! [Your appeal] is being granted, say it with your own mouth!’ He said: ‘Your son Arda-[Mullissi] will kill you.’ They uncovered [his] face, and after Arda-Mu[llissi] had interrogated him, th[ey]” appear to then kill the servant and his family. It is also possible that Kishkumen may have been a formidable opponent. In attempting to incapacitate Kishkumen, Helaman’s servant might have been injured or killed, and Helaman would have been killed shortly thereafter. Killing Kishkumen quickly may have been the only way to save Helaman. In addition, the servant couldn’t have let Kishkumen out of his sight to warn other guards because then he might have lost track of him. Because Kishkumen was on his way to kill Helaman, the servant may have not had enough time to warn someone of the plan. The servant’s only option was to kill Kishkumen. 1 Samuel 17:46 is an even closer verbal parallel than the Exodus story, but in either case, the story in 1 Nephi shows a good justification for the action. See Ben McGuire, “Nephi and Goliath: A Case Study of Literary Allusion in the Book of Mormon” Journal of the Book of Mormon and Other Restoration Scripture 18/1 (2009): 16–31. See John W. Welch, “Legal Perspectives on the Slaying of Laban,” Journal of Book of Mormon Studies 1, no. 1 (1992): 133. Generally, two witnesses were needed before a conviction, but the Rabbis concluded that this law did not apply in the case of confessions outside of court, and when evidence is physically present. Thus, if this rabbinical ruling actually goes back to earlier times, it is possible that it is being reflected here, because the potential murder weapon was likely physically present (in Kishkumen’s possession) at this point, and because he confessed outside of court without being pressured. One sees something like this as far back as Joshua 7:20–21 when a man named Achan condemned himself by confessing that he had done something worthy of death, and was summarily executed. Kishkumen’s case is similar to this in some ways. See Welch, Legal Cases, 332–333. Hermann Gunkel, The Legends of Genesis: The Biblical Saga and History, trans. W. H. Carruth (New York, NY: Schocken Books, 1975), 60–61.